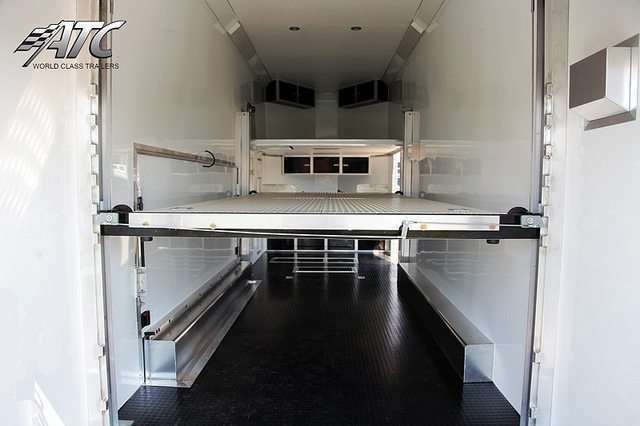 MO Great Dane designs, builds, and delivers custom Car Hauler and Sport Trailers worldwide. 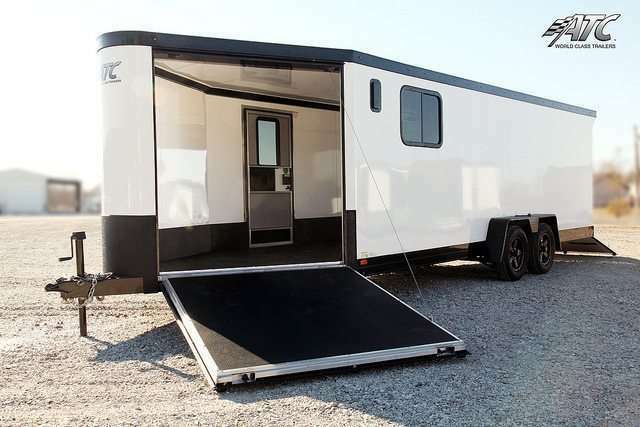 ATC provides the highest quality all-aluminum trailers on the market including aluminum car trailers, aluminum motorcycle trailers, and aluminum living quarters trailers. Click on an image below to see the wide range of ATC Car Hauler and Sport Trailer categories. 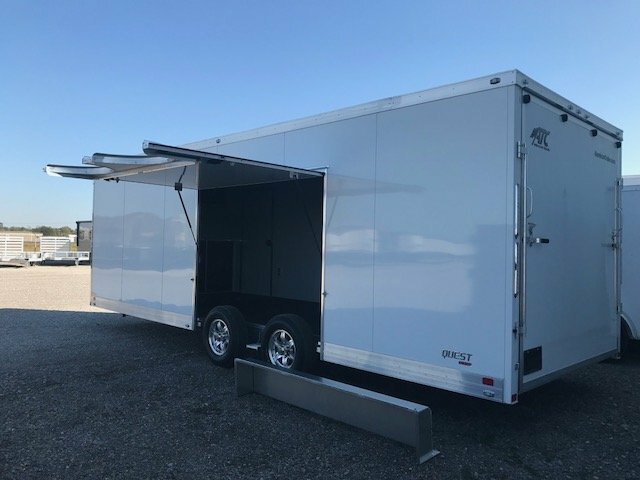 You can also see in-stock Car Hauler trailers with pricing below – see our complete inventory of in-stock Car Haulers here. 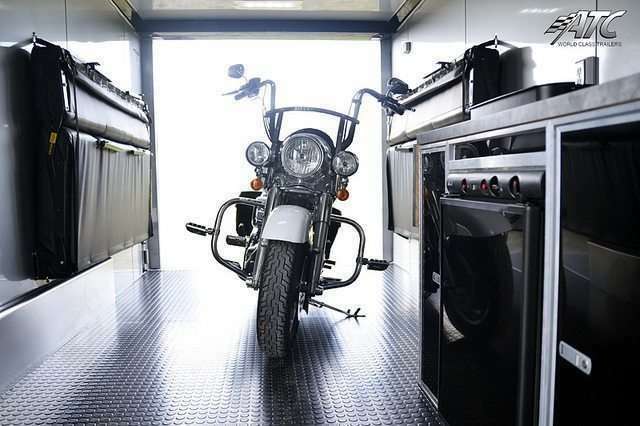 To get started on your custom-made trailer, Request a quote or Contact Us +1 (573) 545-3065 today! 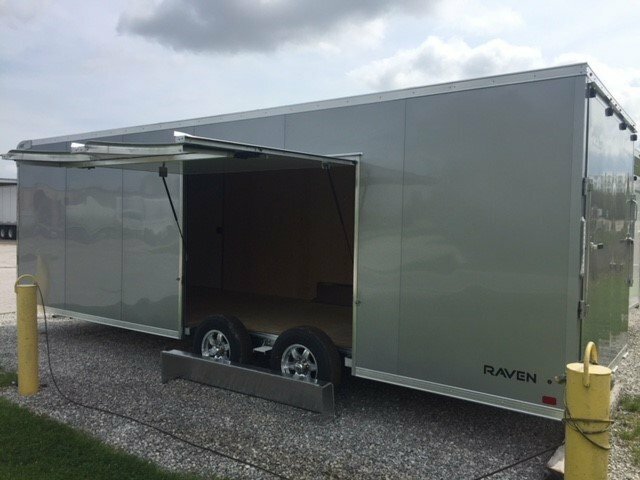 This car hauler trailer features a 30 amp electrical panel, prep for side door step, standard trim, and standard latches on the rear. All of the essentials at a great price point! 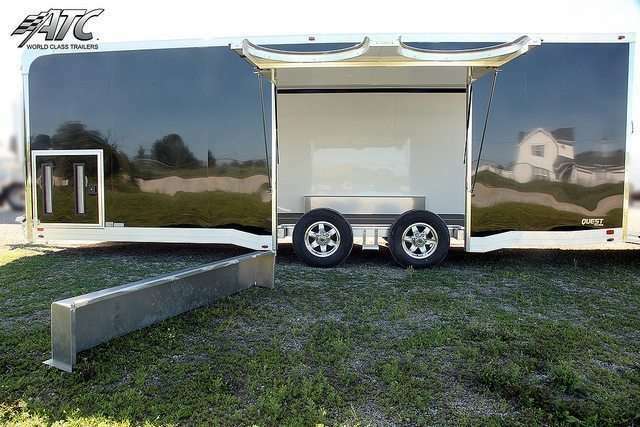 8.5×24 ATC Raven Aluminum Frame Car Hauler Trailer – Choose Your Color! The ATC Raven is an entirely aluminum frame that rolls off the production line at only 3,135 lbs! 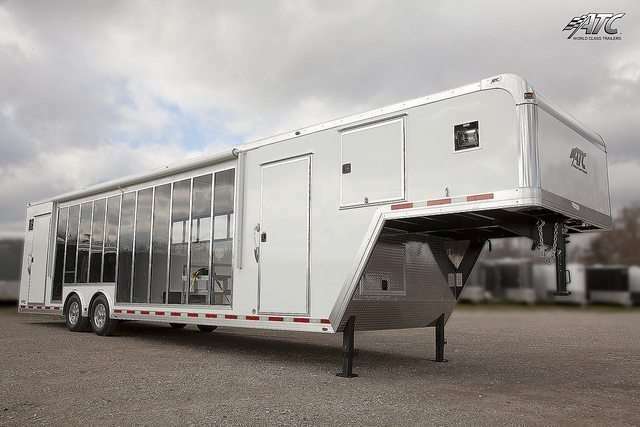 These trailers are available on the lot now and in your choice of White, Silver, Black, Charcoal, Victory Red or Pewter in just 2-3 weeks time. Top of the line! 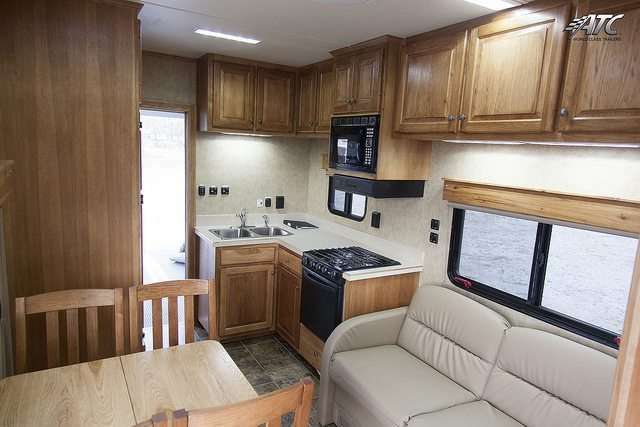 Check out the ATC CH405 Package offered with .040 exterior skin, rear loading light spoiler, insulated walls & ceiling, and the plywood eliminating Extruded Aluminum floor & ramp.